General Lee and I have something in common; we both crossed the Mason-Dixon line in search of conquering the closest Yankee turf. Gettysburg and Antietam are actually both not very far from here. For here is the closest place to Virginia and North Carolina where you really feel you have left home, that the surroundings feel vaguely foreign, that you are not in Kansas(or North Carolina) any more. It is only a little over six hours from Carrboro, about fifty miles north of Baltimore. While this area has its drawbacks, the scale of it makes it ideal for biking. Compared to North Carolina, the scale is vaguely European. Towns are close together, with street grids that do not push you onto the major highways. 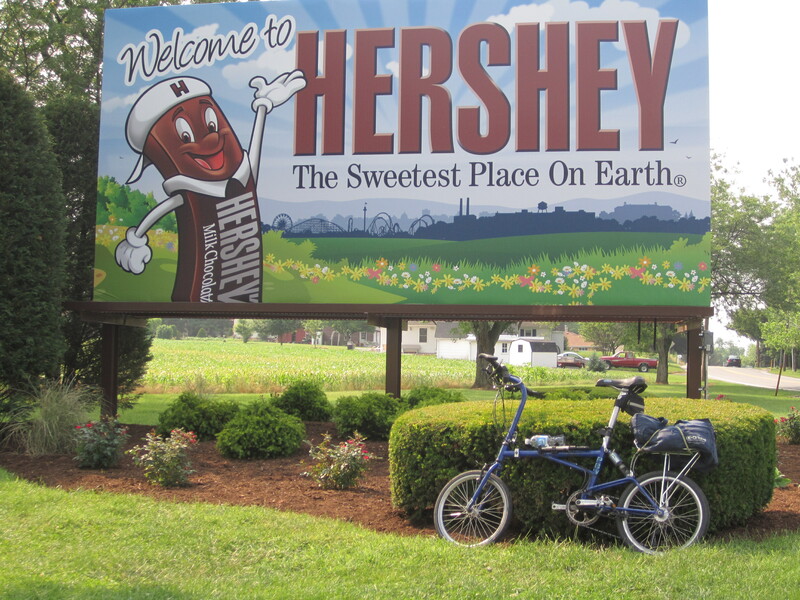 Except for Hershey, these are depressed factory towns. York has a Harley-Davidson factory, so the locals ride those vehicles a lot, helmetless. A lot of this looks to me like the set of some working class movie. In between these towns much of the countryside, some of it Amish country, seems to define picturesque. 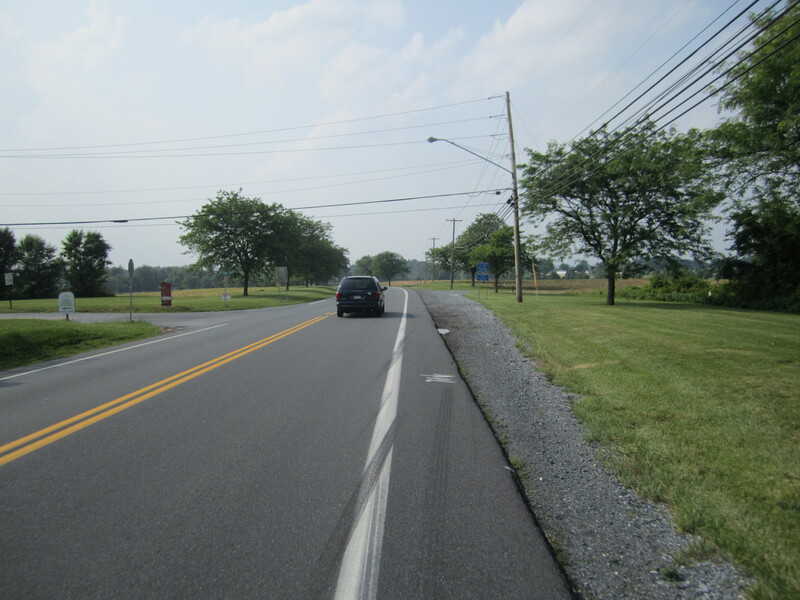 Pennsylvania roads, unlike N0rth Carolina, tend to be wider, with lots of room for a bicycle. 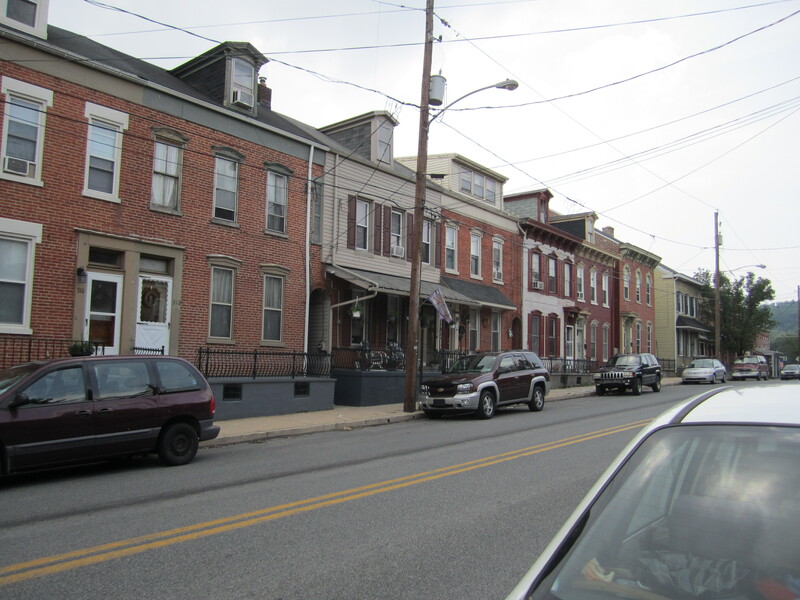 Unlike most other towns of the region, Hershey looks like it has had poverty, decay, and homelessness excised. It looks like the other towns, but everything was clean and a little too perfect. 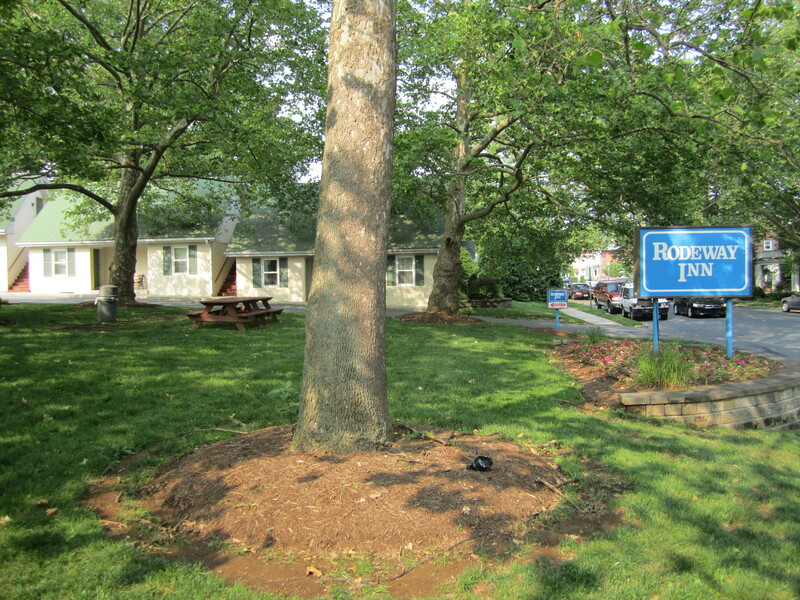 On a street very much like Poplar Avenue in Carrboro, there was a Rodeway Inn, which I was lucky to snag, as it seems to have been the last hotel room in town on that Saturday night. 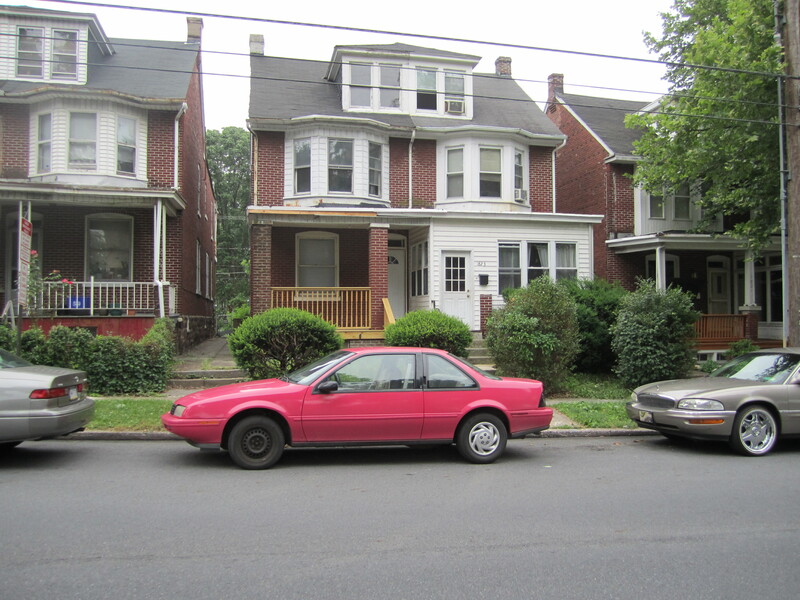 Harrisburg had its share of decay but also nice neighborhoods. The state capitol building was fine, but I was not a big fan of the neo-fascist architecture of the surrounding buildings. Harrisburg. 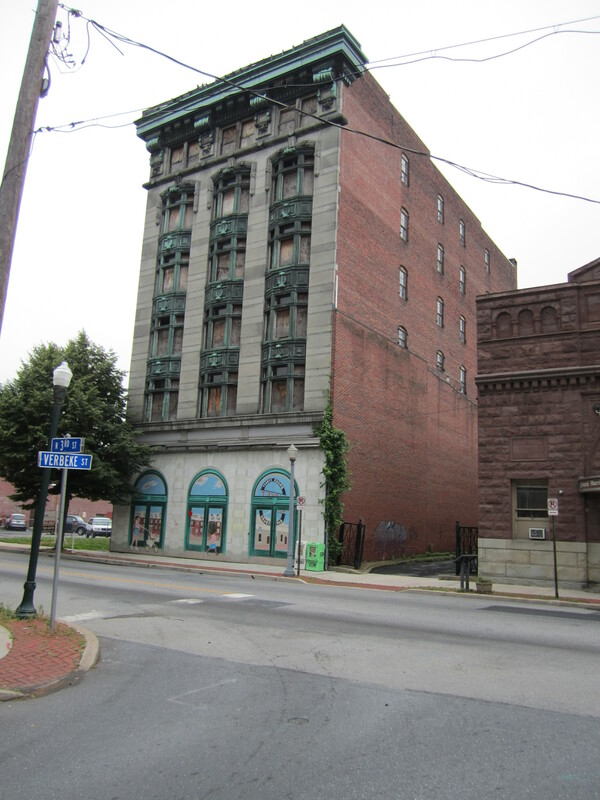 Do you find these buildings creepy? This whole six hour each way car trip was a long way to go for one night, but I really felt like I had been to a foreign country of sorts.